Prominent & Leading Manufacturer from Bengaluru, we offer rubber moulding press for rubber industry. We offer Rubber Moulding Press for Rubber Industry. This equipment is one of the primary ones used in the rubber industry. Made from the best materials, these machines are of very high quality and are very efficient. These machines are available at our company at a very reasonable price. Our range of rubber moulding presses is fabricated as per the international quality standards and is extensively used in various industrial application because of the updated features so built in them. 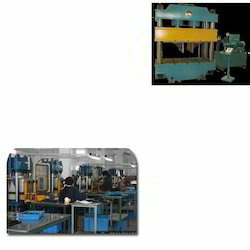 Looking for Rubber Moulding Press for Rubber Industry ?